While the sale and ownership of various lizard species is increasing in the pet trade, their release into a non-native environment can have significant negative impacts on native species and habitats. Tegu lizards, for example, are common throughout much of South America, but do not occur naturally in North America. They can grow to large sizes, live in many habitats and can tolerate a diverse diet including plants, fruits, insects, shellfish, eggs of native species, and numerous kinds of animals. But whether thru escape or deliberate release, pet tegus are finding their way back into the wild. In Florida, they are now considered an invasive species of significant concern with over 3,000 tegu reports documented thus far in the state. These characteristics have resulted in concern about the potential expansion of tegus into other parts of the United States, as well as expansion into sensitive natural areas, such as Everglades National Park and Big Cypress National Preserve. To gain a better understanding of the likelihood of such expansion, Normandeau Principal Scientist Dr. Mark Hayes and a diverse group of collaborators worked together to model and map the distributions of tegu lizards in South America, and then evaluate where these species might find suitable habitat in North America. This collaboration included researchers from U.S. Geological Survey, Everglades National Park, U.S. Department of Agriculture’s National Wildlife Research Center, Texas A&M University, and the National University of Córdoba in Argentina. The research group used over 800 verified reports of tegu lizards in South America and five modeling approaches in order to map the distributions of these species in their native environments. These models were then projected onto the North American continent to evaluate where these species might find suitable habitat in North America. 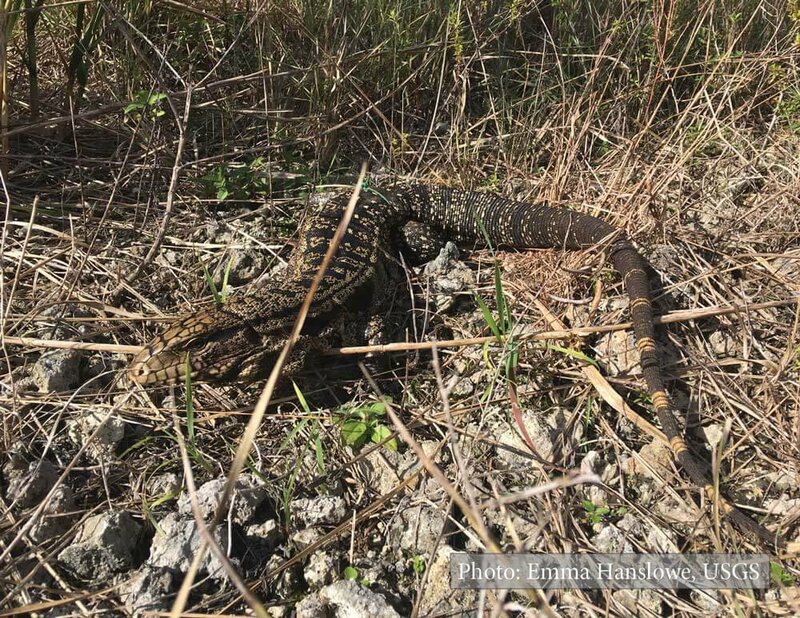 The group concluded that much of Florida and the southeastern United States are at risk from invasion, and that some of the southwestern U.S. may represent suitable habitat for at least one tegu species. This project is just one example of the way Normandeau scientists use advanced modeling tools in collaboration with diverse researchers and managers, in order to help make more informed decisions related to environmental and natural resource challenges facing the nation. The full publication is available here.